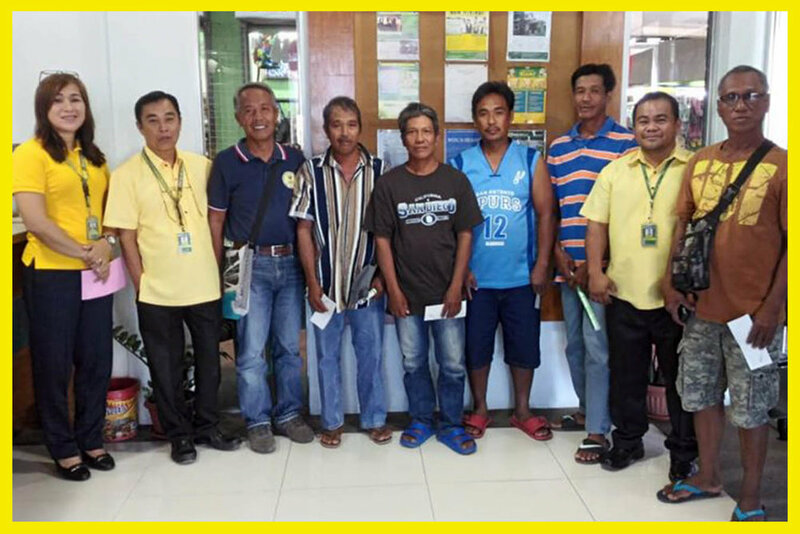 Farmers of Benguet Agri-Pinoy Trading Center (BAPTC) wearing their new aprons, pose with Rang-ay Bank officers. Pupils of Sacred Heart Learning Center smile while holding their Kiddie Savers Passbook. Farmers of Brgy. Bato, San Fernando City pose with Rang-ay Main Branch Officers. 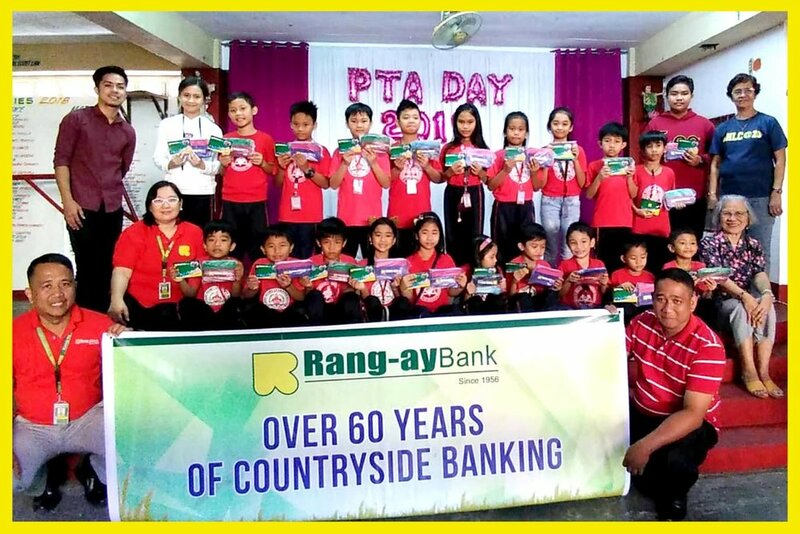 Rang-ay Bank celebrated 63 years of Countryside Banking by conducting community projects in cities and municipalities where the bank operates. To commemorate its 63rd anniversary last January 16, 2019, the bank aims to give back to the people through local community projects in its hometown in San Fernando City, La Union; Agoo, La Union; La Trinidad, Benguet and Bangui, Ilocos Norte. The bank started from a single-unit bank with only four (4) employees and has grown from a one (1) unit bank to 29 branches all over the six northern provinces of Ilocos Norte, Ilocos Sur, La Union, Abra, Benguet and Pangasinan. Continuing to hasten progress in the countryside through accessible and affordable banking services, the bank has become the biggest in Region I and Cordilleras. Rang-ay Bank Main Branch marked its 63rd Anniversary by donating irrigation hoses to the farmers of Brgy. Bato, San Fernando City, La Union last February 7, 2019. Bank staff conducted a financial literacy program to educate the farmers on how to manage their income properly and the importance of savings. President Josefina Ducusin of Brgy. Bato Farmers Association expressed her appreciation to Rang-ay Bank for reaching their remote mountainous barangay. Agoo, La Union Branch celebrated its 19th Anniversary by opening free kiddie savers deposit accounts for thirty (30) pupils of Sacred Heart Learning Center (Sto.Tomas, La Union) during their Parents and Teachers Association (PTA) meeting last January 26, 2019. The bank aims to teach the kids the importance of saving and help inculcate in them the habit of thrift at a young age. Marketing Officer Florence Joy Licudine conducted financial literacy program for the kids and their parents while branch Officer In-Charge Aldyne Dela Cruz discussed various bank products and services. Rang-ay Bangui, Ilocos Norte Branch celebrated its 1st Anniversary by donating wheelchair, walkers and canes to twelve (12) Special Education (SPED) Children and Persons with Disability of Bangui, Ilocos Norte last December 28, 2018 at the Municipal Social Welfare Development (MSWD) Hall. The “Give The Gift of Mobility” project, in coordination with the Municipal Social Welfare & Development (MSWD) aims to provide for the special needs of the SPED & PWDs of Bangui. MSWD Officer Rhealou Dela Cruz expressed her gratitude in behalf of the municipality of Bangui. La Trinidad, Benguet Branch celebrated its 11th anniversary by donating aprons to the farmers of the Benguet Agri-Pinoy Trading Center (BAPTC) and conducting a Financial Literacy program at the BAPTC Hall, La Trinidad, Benguet last January 30, 2019. 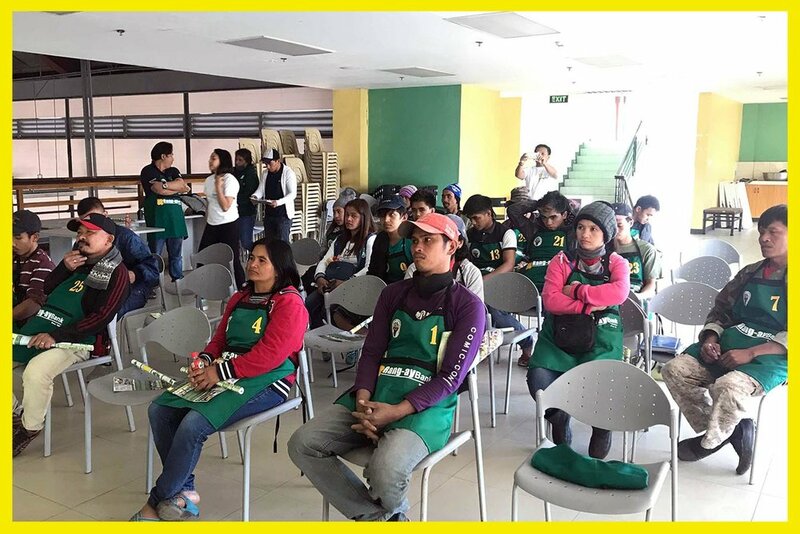 Area Manager Winnie Mingaracal, La Trinidad Branch Manager Marlon Flores and Marketing Officer Florence Joy Licudine introduced Rang-ay Bank and oriented the participants on the proper use of credit and the importance of saving part of their income. More photos taken during anniversary projects. Rang-ay Bank supported the Philippine Society of Endocrinology, Diabetes and Metabolism in marking the 2019 Goiter Awareness Week (GAW) last January 28, 2019 at Bethany Hospital, San Fernando City, La Union and at Burgos La Union Municipal Function Hall. Goiter Awareness Week is observed every fourth week of January by virtue of Presidential Proclamation No. 1188 signed on Dec. 11, 2006. Goiter, the abnormal enlargement of the thyroid gland, and other signs of iodine deficiency were deemed a matter of national concern that needed public awareness. 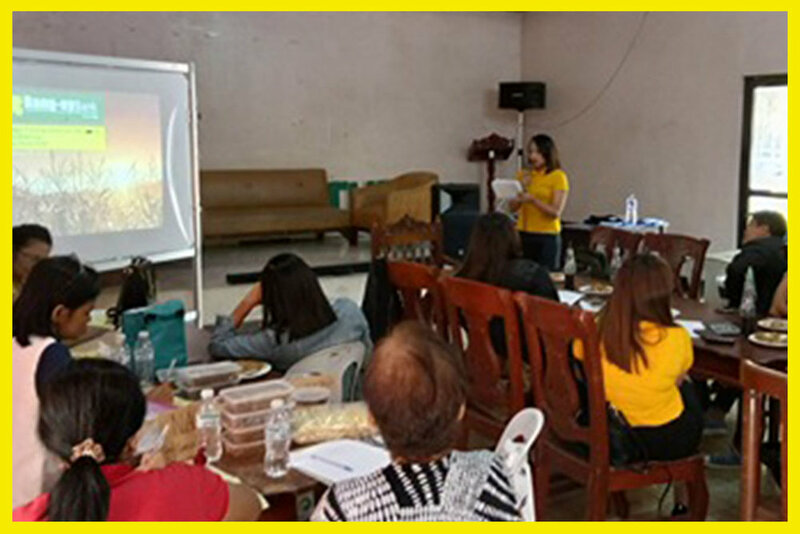 Rang-ay Bank Director Dr. Ivy Rose Nisce-Martinez, an endocrinologist, conducted lectures on thyroid diseases to the nurses and staff of Bethany Hospital and to the Barangay Health Workers of Burgos, La Union. The lectures aim to further public awareness on the prevention and control of goiter and other related Iodine Deficiency Disorders (IDD). 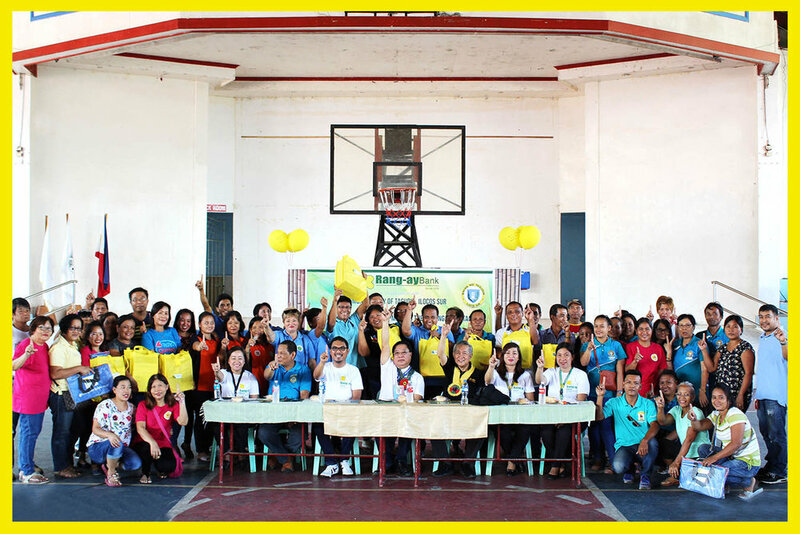 Rang-ay Bank participated in the Batang Lingkod Program in coordination with Junior Chamber International (JCI) Saluyot San Fernando City, La Union Chapter last February 8, 2019 at Santiago Elementary School, San Fernando City, La Union. 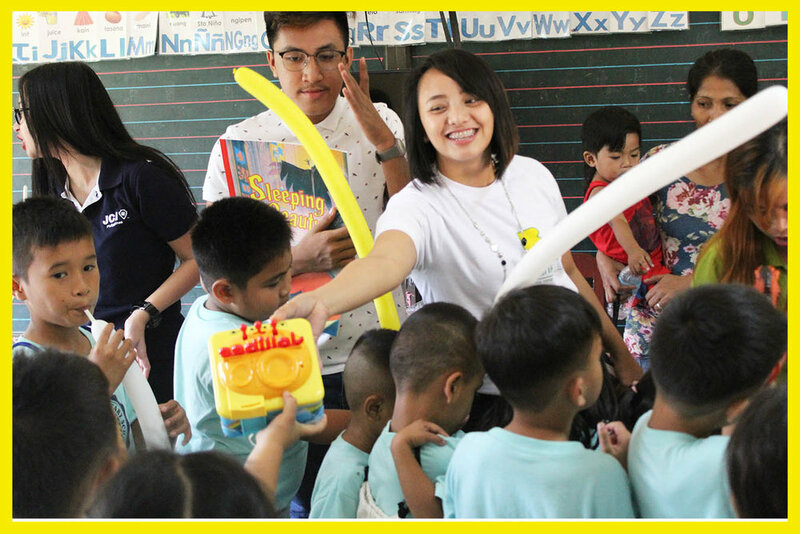 JCI Saluyot San Fernando City, La Union Chapter President Angelica Maranan led the activity with a story telling activity for the children. The group also donated coloring books and toys to the kids bringing excitement to all. Rang-ay Bank also spread awareness to the parents and teachers on the importance of savings. 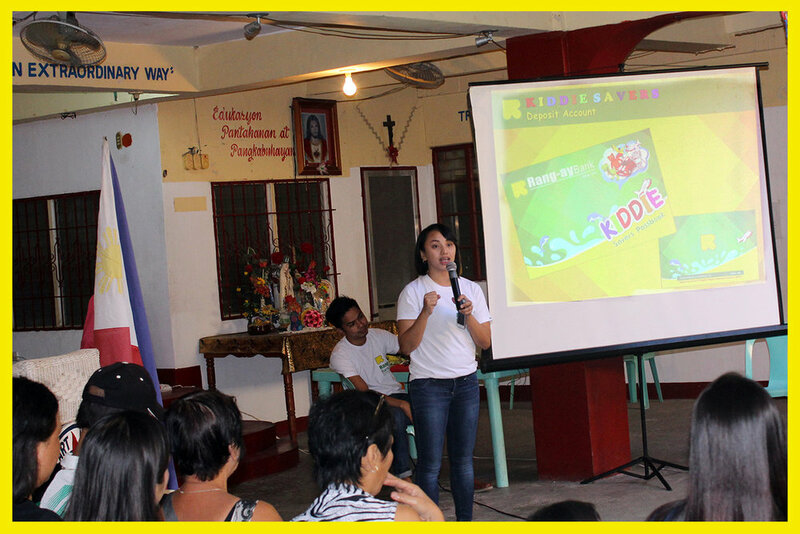 Rang-ay Marketing Officer, Florence Joy Licudine encouraged the children to start saving at their young age. The bank provides Kiddie Savers program for the children ages 7-12 years old for only P 100 to open an account with no maintaining balance needed. Rang-ay Bank, through its partnership with the Philippine Crop Insurance Corporation awarded indemnity crop insurance claims to various farmers of the Ilocos Region whose crops were severely damaged by pest and Typhoon Ompong last 4th quarter of 2018. In 2016, the bank has partnered with PCIC, which is the sole provider of crop insurance, to provide our farmer loan clients with insurance coverage for their crops. The insurance program aims to provide protection against losses arising from natural calamities, plant diseases and pest infestations of their palay and corn crops as well as other crops, considering that they only have small parcels of land thus needing help for initial capital and crop protection. The PCIC paid indemnity claims totaling to more than P500 thousand to 46 enrolled farmers for the year 2018. The biggest claims were acquired by 30 rice and corn farmers in Narvacan, Ilocos Sur amounting to P387,000.00. The amount of indemnification given to farmers depended on the actual damages in their farms based on the inspection and validation conducted by the PCIC. 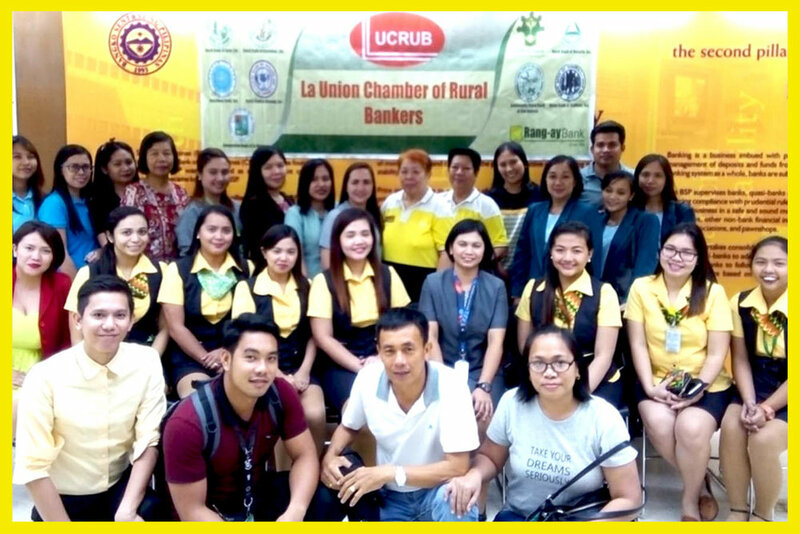 La Union Chamber of Rural Bankers organized a seminar entitled “Know Your Money" with the help of Bangko Sentral ng Pilipinas (BSP). The seminar was held last September 19, 2018 at the 3rd floor of BSP La Union Regional Office, City of San Fernando La Union. The briefing was attended by twenty seven (27) participants from various banks in La Union. Ms. Therese Ethel Jularbal of the Economic and Financial Center discussed and demonstrated the 1st and 2nd level security features of the New Generation banknotes and coins and explained Presidential Decree. No 247 which prohibits and penalizes defacement, mutilation, tearing, burning or destruction of BSP notes and coins. Deputy Director Carina del Rosario encouraged the participants of the seminar to support the BSP on their campaign for the fit and clean currency in Region I and clean note policy in all banks. Rang-ay Bank Tagudin, Ilocos Sur Branch in coordination with the Local Government Unit of Tagudin and Municipal Health Unit celebrated its 10th Anniversary by donating medical equipment to ten (10) rural barangays of the municipality last Novermber 15, 2018. The recipients of the medical packages are Barangays: Pudoc West, Cabulanglangan, Las-ud, Libtong, Malacañang, Dardarat, Quirino, Rizal, Salvacion and Pacac. Rang-ay Bank Vice President Ives Jesus Nisce II together with Bank Director Jose Osias, Area Manager Rowena Rosales, Candon Manager Rosemarie Rigos, Tagudin Manager Janice Peralta and Marketing Team led the turnover of the medical equipment to the leaders of each barangays. 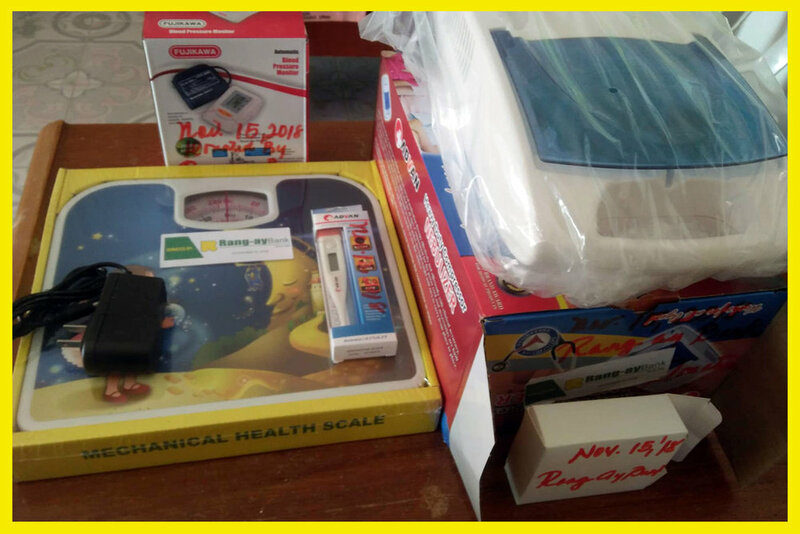 The medical equipment package comprised of a nebulizer, blood pressure monitor and weighing scale. Municipality of Tagudin headed by Hon. Mayor Roque Verzosa, Municipal Health Officer Dr. Aly John S. Lopez and the Barangay Officials expressed their gratitude to Rang-ay Bank for the early Christmas gifts. Tagudin, Ilocos Sur is a 2nd class municipality in the southern most part of Ilocos Sur bordering La Union and well known for their Tikanlu Festival. Rang-ay Bank Tagudin Branch is located along the National Highway corner San Jose Street Tagudin. The bank offers business and agricultural loans to the entrepreneurs and farmers of the fast growing municipality. The branch also offers a wide range of deposit and other bank products such as Bills Payment and Remittance services. 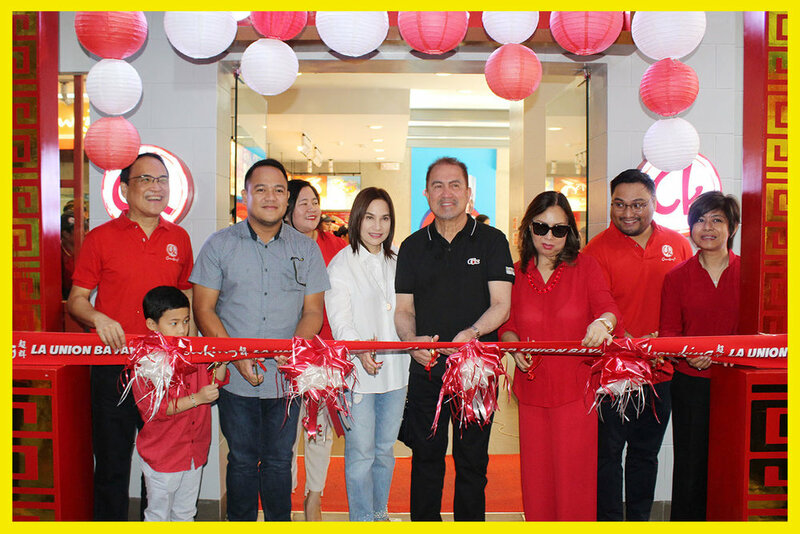 The first & original Chowking store in La Union was formally reopened after a complete renovation last November 11, 2018. It is centrally located along Gov. Luna St. San Fernando City, La Union beside Rang-ay Bank Head Office. 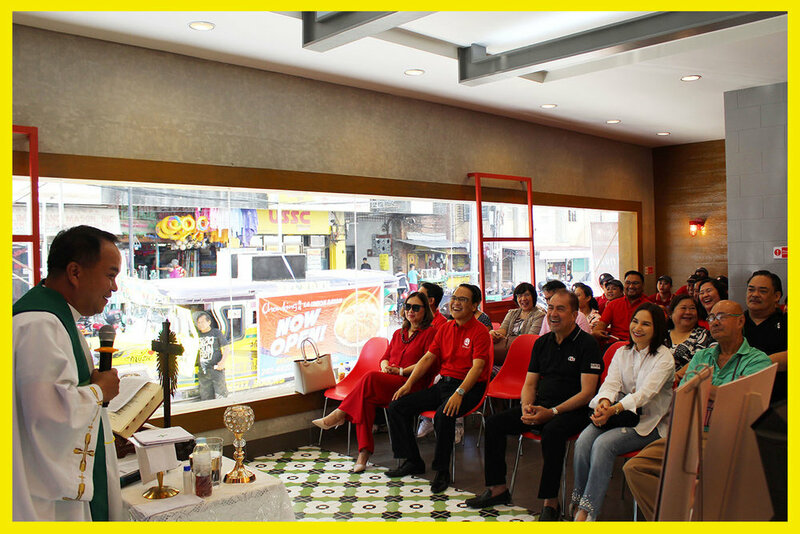 The inauguration and blessing started with a mass inside the store premises officiated by Father Alex Pardo followed by cutting of the ceremonial ribbon led by La Union Congressman Pablo Ortega, San Fernando City Vice Mayor Alf Ortega, Dr. Rose Nisce, Managing Director Ross Nisce, Chowking RBU Head Annabelle Narciso and Rang-ay Bank President Ives Nisce. 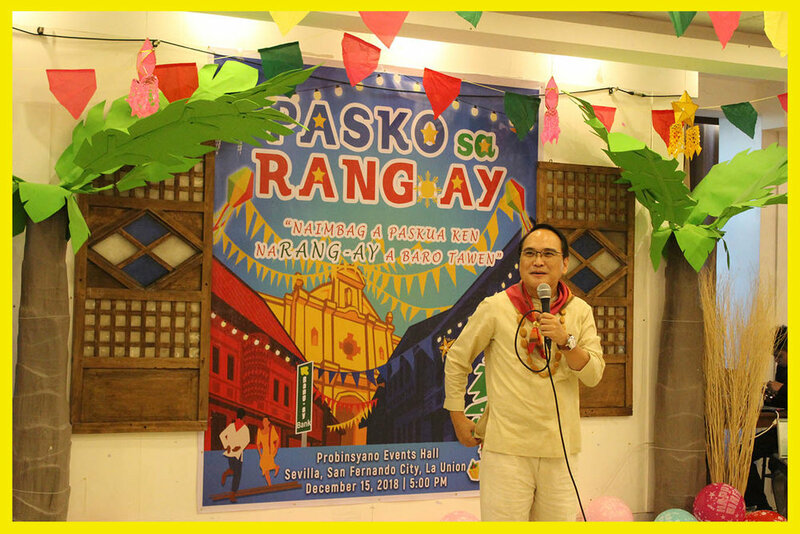 Rang-ay Bankers from 29 Banking Offices from all over the region celebrated the 2018 holiday season with the theme: “Pasko sa Rang-ay” held at Probinsyano Events Hall, City of San Fernando, La Union last December 15, 2018. More than 260 employees attended the event coming from its 29 banking offices. The event started with a Eucharistic celebration and an opening remarks from the President & CEO, Ives Q. Nisce. This program recognized and honored the best performing bankers for their exemplary work throughout 2018. There were 13 awards overall. The awardees were Christza Fe Dinangan and Jonalyn Bongar as Deposit Assistants of the year, Analyn Mendigoria as Bookkeeper of the year, Maritess Pido as Loan Assistant of the year, Joy Manaois as Teller/Cashier of the year, Salvador Corpuz as Field Staff of the year, Marichu Pasag received the Maagap Award, Grace Cayan for the Maasahan Award and Jayson Lamarca & Sheila May Teodoro as Male & Female Head Office Staff of the year. Special Recognition Awards were presented to Gloria Alcantara Compliance Officer, Rowena Rosales, Area Manager for North Branches, Joey Dingle, Dagupan Branch Manager and Rosemarie Rigos, Candon Branch Manager in grateful recognition of their invaluable contributions to the growth and success of the countryside by serving thirty (30) years, twenty (20) years and ten (10) years respectively of dedicated service. Nineteen (19) newly promoted Officers from Head Office and branches were also acknowledged. Former Rang-ay Bankers, Evangeline Alcaparaz and Louela Pajimola also received the Service Achievement Award in recognition for their contribution to the bank by their thirty six (36) years and thirty four (34) years of service respectively. Vice-President, Ives Jesus Nisce II congratulated all the Rang-ay Bankers in his closing remarks for their dedication and hardwork to achieve a fruitful 2018. The event ended up with a community song titled “Pasko sa Pinas” participated by all Officers and staff of Rang-ay Bank. Rang-ay Bank supported the 38th Industry Forum of the Bureau of Fisheries and Aquatic Resources - Regional Field Office No. 1 (BFAR-RFO1) for the Fishery Stakeholders last September 25, 2018 at Hotel Consuelo, Lingayen, Pangasinan and conducting Market Matching last November 27, 2018 at the Office of the Provincial Agriculturist (OPAG), Laoag City, Ilocos Norte. Area Manager for South Branches, Winnie Mingaracal together with Dagupan Branch Manager, Joey Dingle and Marketing Officer Florence Joy Licudine presented the various products and services of the bank to the attendees of the said forum. Meanwhile in Laoag, Rang-ay Bank Officers headed by Area Manager for North Branches, Rowena Rosales together with Vigan Branch Manager, John Dela Cruz and Marketing Officer, Florence Joy Licudine introduced Rang-ay Bank to the attendees. They discussed different products and services offered by the bank especially the Agri-Business loan program for the farmers and entrepreneur with agricultural or agri-business projects. The meeting aimed to address sustainability of supply of raw materials vital for the continuous bussiness operation of GAD-assisted fish processors/association to further market their products. Rang-ay Bank offers bank services to all sectors of the countryside including fisher folks. The bank offers a multipurpose loan program as well as farmers loan that caters to fisherfolks and farmers with no collateral. 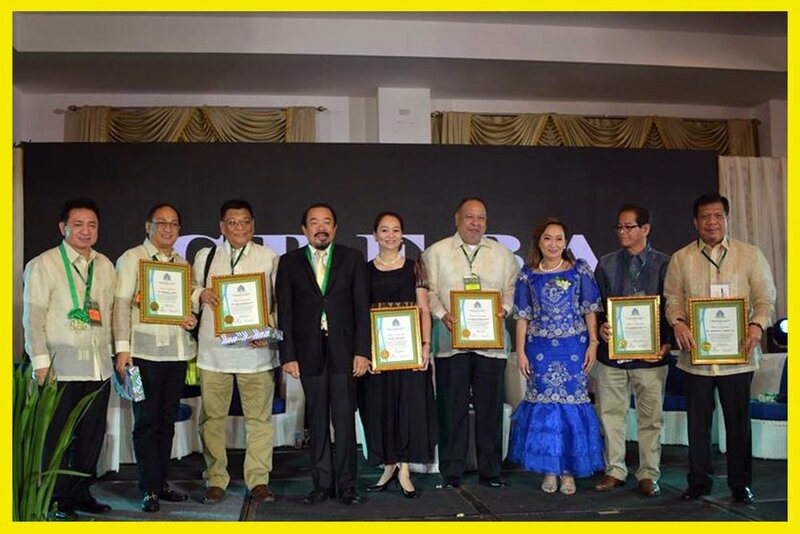 This year, for the first time, the Chamber of Real State and Builder’s Association (CREBA) celebrated its National Convention at Thunderbird Resort, Poro Point, San Fernando City La Union on October 17-20, 2018. The convention coincides with the National Housing Month. This year’s host is CREBA-La Union President and Rang-ay Bank Director Reynaldo Nisce. It was a great opportunity for CREBA-La Union Chapter to showcase the beautiful Province of La Union and progressive City of San Fernando to the hundreds of delegates joining in this affair. The event was joined by 15 CREBA Chapters from all over the Philippines. The convention’s theme for this year is “A home for every Filipino: Building Homes, Building Communities, Building Live”. Rang-ay Bank provides banking services to the housing sector by providing development loans to Subdivision Developers, Housing Contructors and Pabahay Loans to homeowners. To know more about Rang-ay’s Housing Loan Program please email us at marketing@rangaybank.com or visit us any of our 29 branches in the six (6) provinces of Ilocos Norte, Ilocos Sur, Abra, La Union, Benguet and Pangasinan.